Thank you for your interest in Mountain Lakes! We're a four season recreational community located in the White Mountains of New Hampshire. Our community is an official village district within the Town of Haverhill, NH. This web site aims to keep all of our property owners up to date with the important news and seasonal activities of the District. Check out this area map for an overview of the District. There's more information below or under the headings on the left side of this page. 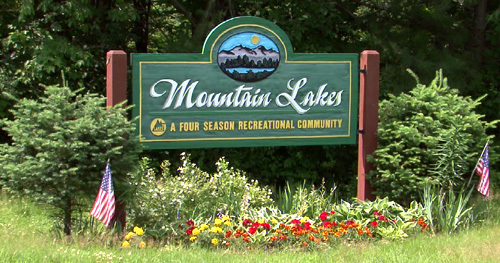 You can also send us an email at: MLDAdmin@mountainlakesnh.com.com. PUBLIC NOTICE: The next regular Commissioners Meeting will be MONDAY, MAY 13TH at 6:00PM at the District Office. All are invited - and encouraged - to attend! PUBLIC NOTICE: Recreation Committee Meeting has been RESCHEDULED for TUESDAY, APRIL 23RD at 6:00 PM at the District Office!! It's time to start thinking about summer events, so come help us plan!! District Board and Committee Meeting Dates can be found on the District Calendar (click on the "Calendar" tab above). Minutes from District Boards and Committees can be found on the associated organization page (click on the "Boards" tab above for a list of organizations). OFFICE CLOSED: The Mountain Lakes District Office will be CLOSED FRIDAY, APRIL 19TH. WATER EMERGENCIES: If you have a water emergency and the office is closed, please call the emergency pager at 603-615-6829. For other assistance, please call the office at 603-787-6180 to leave a voicemail or send an email to: MLDAdmin@mountainlakesnh.com. For more information about upcoming activities, watch this website, check out our Facebook page "Mountain Lakes District", or sign up for our weekly District email (DMAIL for short)! You can even do ALL THREE so you don't miss a thing! To get on the DMAIL list, send a note to: MLDAdmin@mountainlakesnh.com and ask us to add you today!